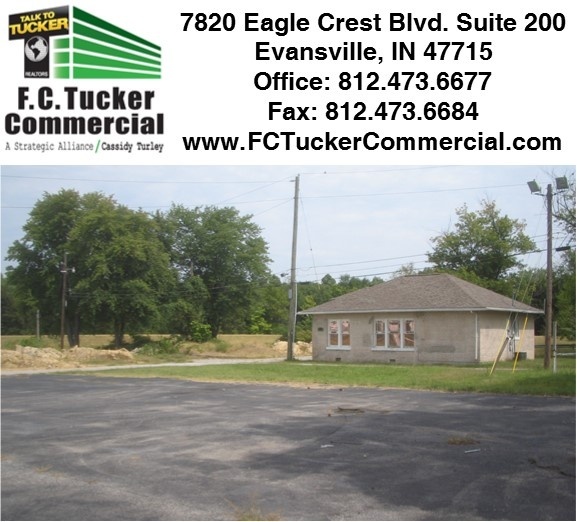 Detailed information about retail-commercial property which situated in Evansville (47710) city, Indiana state on 2319 N Fulton Ave.
Additional Information: Ideal for heavy equipment garage, trailer storage yard, could lease all or part. Located at north end of Fulton Avenue. Not in flood plain. NOTE: Please contact with Kenneth M. Newcomb Jr. if you want to get more accurate details about pricing and availability of retail-commercial property For lease. All information about retail-commercial property For lease that located on 2319 N Fulton Ave, Evansville, IN 47710 was obtained from reliable sources, but we cannot guarantee that all data about pricing, details of the building and property was completed without error or has not been changed without notice or withdrawal without notice. If you want to get complete and actual information, please contact with agents.